Verizon Blackberry 8830 Rumors | BlackBerry Blast! The rumor mill is churning again about the Blackberry 8800 going to Verizon. 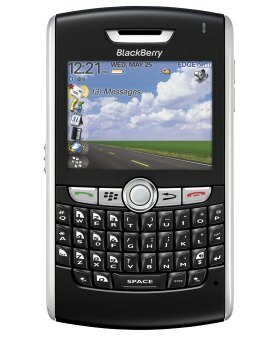 According to some users at the Blackbbery Forums, Verizon will get their own version under the Blackberry 8830 name. The rumor is that Verizon will get the BB 8830 in the May or June time frame and Sprint will follow soon thereafter. The rumor comes from Blackberry Forums user rianlu who says, "I was on a call recently with a rim rep. I work for a local carrier on the east coast don't want to go to specific cuz they said it was mildly confidential but the device will be the 8830. verizon's looking at may/june and sprint soon thereafter other carriers are looking at august. so far all the test devices have verizon software or atleast the ones we saw. the device will be trackball and will have a few new features some of which have been mentioned. it is quadband but will only be marketed as cdma in north america and gsm in europe and other markets." Check out the Full Story link for the full thread.